Exclusive to RNIB, this talking clock announces the time and date in a clear, high-quality natural male English voice. 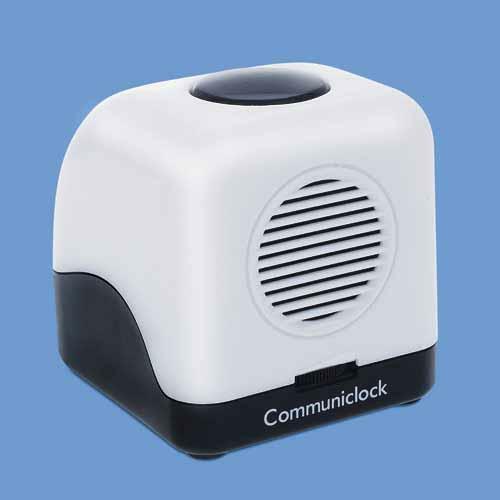 The design of the clock has evolved from our previous best-selling talking cube clocks, with a large button on the top, clear setting buttons, good color contrast in black and pearl white, and a new, improved curved casing. Click here for a sample reading from Communiclock. Then clicik "Back" to return to this page. Dimensions: Height 3.54" Width 3.15" Depth 3.85"